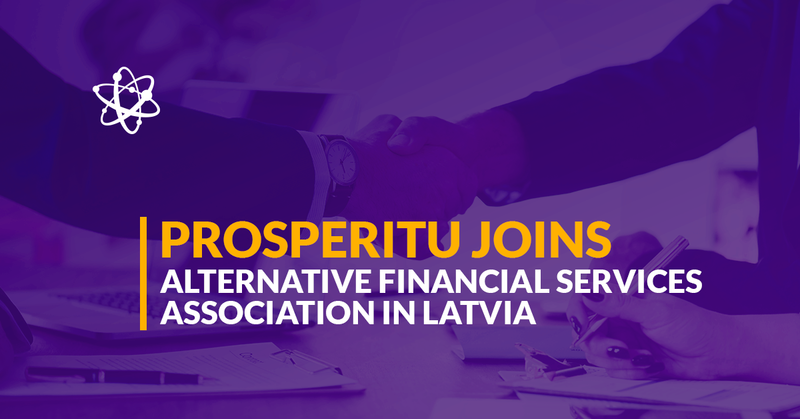 We are happy to announce that Debitum Network platform operator ‘SIA Prosperitu’, established in the Republic of Latvia, has become a member of Latvian Non-bank association (Alternative Financial Services Association). “To be a part of the association is another opportunity to upgrade our knowledge and offer new opportunities to our partners, investors and loan originators. Prosperitu is going to take part and give their impact working on P2P law project with other Non-bank association members” told us the director of Prosperitu Martins Perkons. 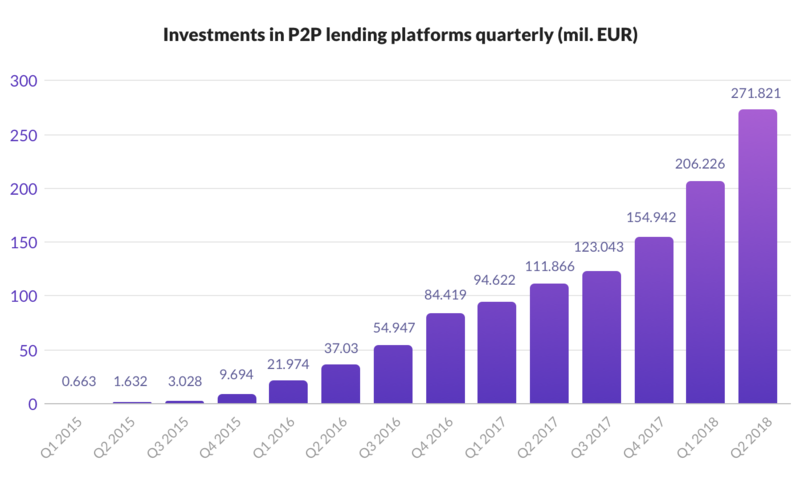 For Debitum Network this also means being acknowledged as a notable player in the field of alternative finance and P2P online lending. Alternative Financial Services Association in Latvia unites providers of financial services operating outside the banking sector. Most of the members belong to financial technology or FinTech companies. The mission of the association is the creation of a reliable and responsible sectoral practice, aimed at long-term cooperation and assessed positively by consumers and the market monitoring institutions, at the same time respecting the opportunities provided by the alternative financial services for free and ensured the development of every individual and society. Members of the association come from the alternative finance industry and the following areas: leasing services, non-bank mortgages, online consumer credits, and peer-to-peer lending platforms. A lot of famous names in the P2P lending industry are members of the association such as: Mintos, Twino, or Robocash, and from now on Debitum Network is among the recognized players in P2P lending too. 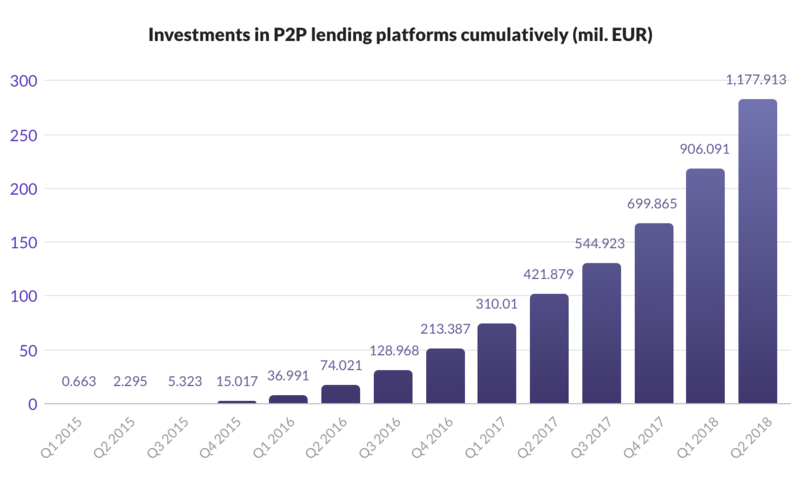 Online lending is a relatively new industry but statistics show that the interest and investments on P2P platforms have been growing by leaps and bounds in the recent years confirming we are in a competitive market with lots of opportunities ahead. Just take a look at the charts below. Interest in alternative investments will likely continue rising as interest rates in Europe remain close to zero. Debitum Network platform got real traction last year with multiple increases in the number of investors and investments month after month. This is likely to continue as interest rates for the assets vary from 7.5% to 11.5%, which is way above commercial banks or other traditional options of investments may offer. Just the fact should be a good incentive to join our platform and start investing. Another incentive is that the assets are very low risk as all of them have guarantees: a buyback guarantee (it means that if the borrower is late with the repayment by more than 90 days, the loan originator will have to buy back the loan with outstanding principal and interest), collateral of physical assets (equipment, cars, warehouses and etc.) or a personal guarantee from the owners of the company that borrows. Having all of the above in mind, wouldn’t you like to try investing with us?